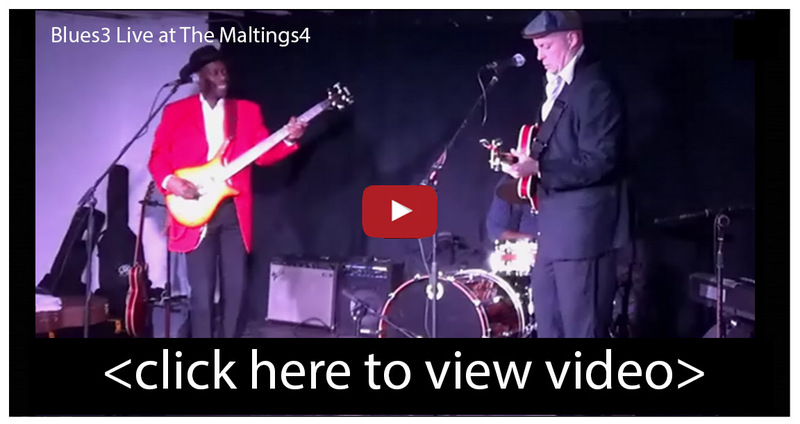 Stompin' Dave's Blues3 brings together three of the UK’s top blues and roots musicians. 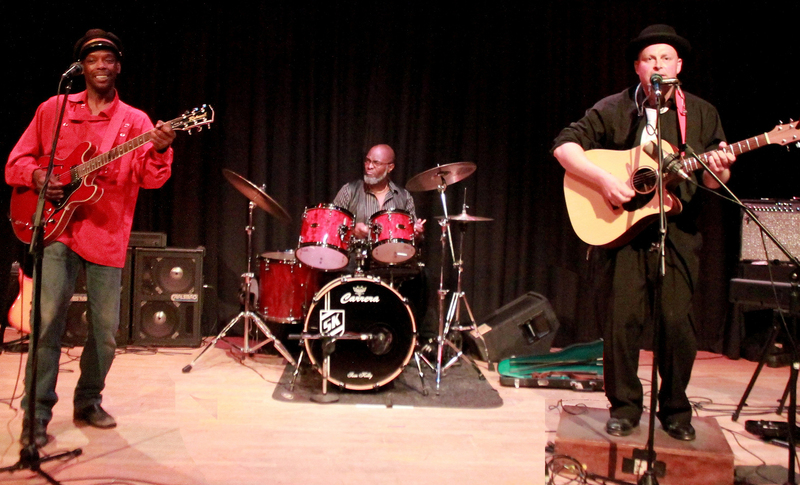 Award winning drummer Sam Kelly, larger than life personality Earl Jackson, and multi instrumentalist tornado tap dancer Stompin’ Dave. London based Sam Kelly has been voted into Blues In Britain magazine Gallery of the Greats as a five-times winner of the UK Drummer of the Year award. Sam has recorded albums with Gary Moore, Ruby Turner, Rory McLeod and Stan Webb. Over the years Sam has performed with such well known artists as Dr. John, Ben E. King, Robert Plant, The Foundations, Chaka Khan, Billy Ocean, and Michelle Shocked among many others. Sam has in recent times performed with Paul Jones, Imelda May, Andy Fairweather Low and Chris Barber. 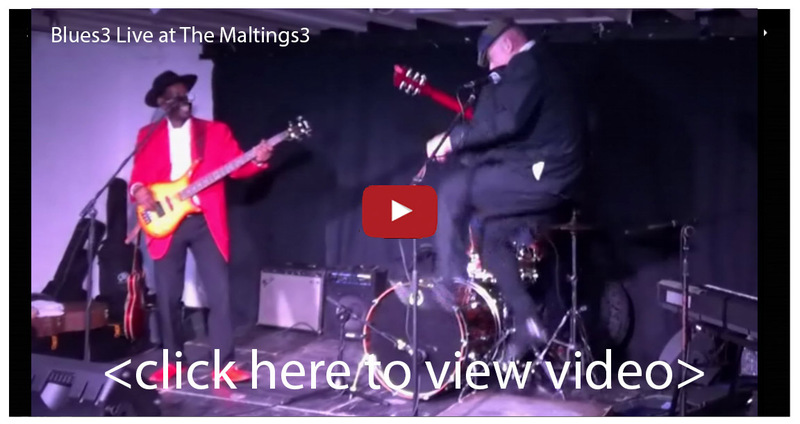 In 2014 Sam was awarded first place in the drummer category for Blues Matters Writer’s Poll, named runner up in the British Blues Award’s 2016. Based in Nottingham Earl Jackson is on bass, guitar and vocals. A well known figure on the British blues and rock n’ roll circuits Earl has made appearances on BBC radio and TV including the Jonathon Ross Show. Earl has for many years been causing a sensation across the UK and Europe appearing as Chuck Berry in the popular theatre show Rockin’ On Heavens Door. Born of Jamaican parents in Lambeth in 1964, Earl was heavily influenced by Gospel music. Much of his charisma and on-stage confidence comes from performing before ten thousand people or more at various Gospel events. “Entertainment with a capital ‘e’“ The Mad Rat Magazine. Earl was awarded Best Blues Singer by The Jools Holland Boisdale Music Awards 2017. With twenty five years of performing experience Stompin' Dave has worked exclusively as a musician and performed across the UK and beyond including major festivals such as Glastonbury, Bestival, and Camp Bestival, etc. A former member of former UK blues band of the year The Producers, Dave was nominated for a British Blues Award in the acoustic act category 2014. “Let’s face it, in adding the quality of his original material, the man is a downright genius” Blues In Britain. The trio's debut album Space Blues was described by Blues In The South as "a new arrow to Dave's already bulging quiver." Please visit http://www.stompinstore.com/shop to buy a copy of Stompin' Dave's Blues3 absolutely brand new CD The Mayfair Studio. 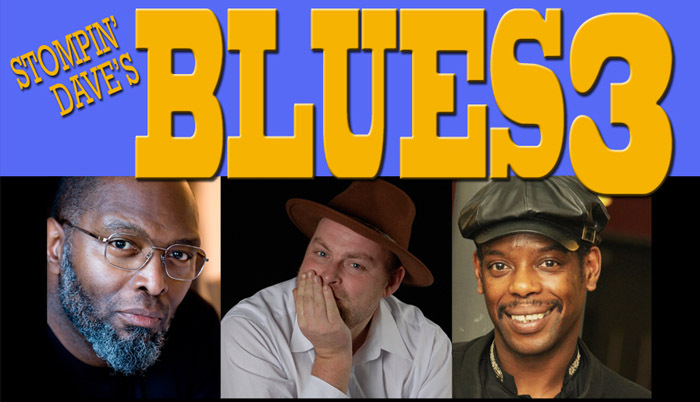 To book Stompin' Dave's Blues3 please call 01308 488387.